Organic lactose - Lactose is the most abundant carbohydrate found in breast milk and is one of the important source of energy for baby. Milk from cow not treated with the hormone rBST†. 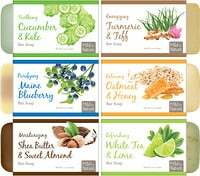 Organic plant-based oils - Fats are a primary source of energy and help baby to absorb fat-soluble vitamins such as Vitamin A, D and E.
Organic nonfat milk & whey protein - Cow's milk is a foundation for formula that contributes casein and whey, both important protein sources for baby. Vitamins & minerals - Nutrients help baby grow & thrive. Breast Milk: It is nature's complex and beautiful way of nourishing baby from day one. That's why, whenever possible, it will always be our first choice. For mothers who supplement or do not breast-feed, our goal is to support you with an organic infant formula that you can feel good about. 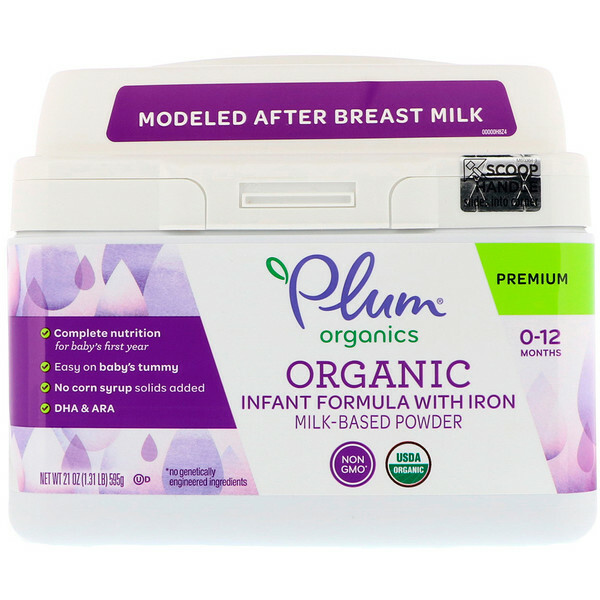 Plum Organics organic infant formula is a nutritionally complete milk-based infant formula appropriate for healthy full term babies to 1 year of age. Before using an infant, ask the advice of your healthcare professional. Use before date on bottom of container. Powder infant formulas are not sterile and should not be fed to premature infants or infants who might have immune problems unless directed and supervised by your baby's doctor. Directions For Preparation And Use: Your baby's health depends on carefully following these preparation, use and storage instruction. Failure to follow these instructions could result in sever harm. Before preparing the infant formula, make sure to always wash your hands. Thoroughly wash bottle and feeding utensils in hot, soapy water before each use. Ask your baby's doctor about the need to boil or sterilize water for formula and the proper preparation of bottle and utensils. Wash hands and prepare a clean surface. Pour desired amount of water (approx. 100°F/40°C) into a clean bottle. Add powder. Always add powder to water. Store scoop by sliding handle of dry scoop into slot located in the upper leaf corner above the powder. Cap bottle and shake well until powder is dissolved. Feed immediately. Discard any remaining formula in bottle after 1 hour from start of feeding. Organic lactose, organic nonfat milk, organic palm oil or palm olein, organic soy oil, organic coconut oil, organic high oleic (safflower or sunflower) oil, organic whey protein concentrate, Less than 1%: mortierella alpina oil*, dha algal oil (schizochytrium)**, vitamin A palmitate, beta-carotene, vitamin D (cholecalciferol), vitamin E (dl-alpha tocopheryl acetate), mixed tocopherol concentrate, vitamin K (phytonadione), ascorbyl palmitate, thiamine hydrochloride, riboflavin, pyridoxine hydrochloride, cyanocobalamin, niacinamide, folic acid, calcium pantothenate, biotin, ascorbic acid, choline bitartrate, inositol, calcium hydroxide, calcium phosphate, ferrous sulfate, zinc sulfate, manganese sulfate, cupric sulfate, magnesium chloride, potassium bicarbonate, potassium chloride, potassium iodide, sodium selenite, sodium citrate, taurine, organic soy lecithin. Do not use microwave to prepare or warm formula. Serious burns may occur. Filled by weight, not by volume. Contents may settle during shipment. Storage: Store unused prepared formula in the refrigerator at 35-40°F (2-4°C); use within 24 hours. Do not freeze. Warm infant formula to room temperature and shake well before feeding. Prepared formula should not be without refrigeration more than 2 hours. Store open and unopened contains in a dry area at room temperature. Close the opened container tightly with plastic lid; use contents within 1 month. Avoid any extreme temperatures. Do not reuse container. 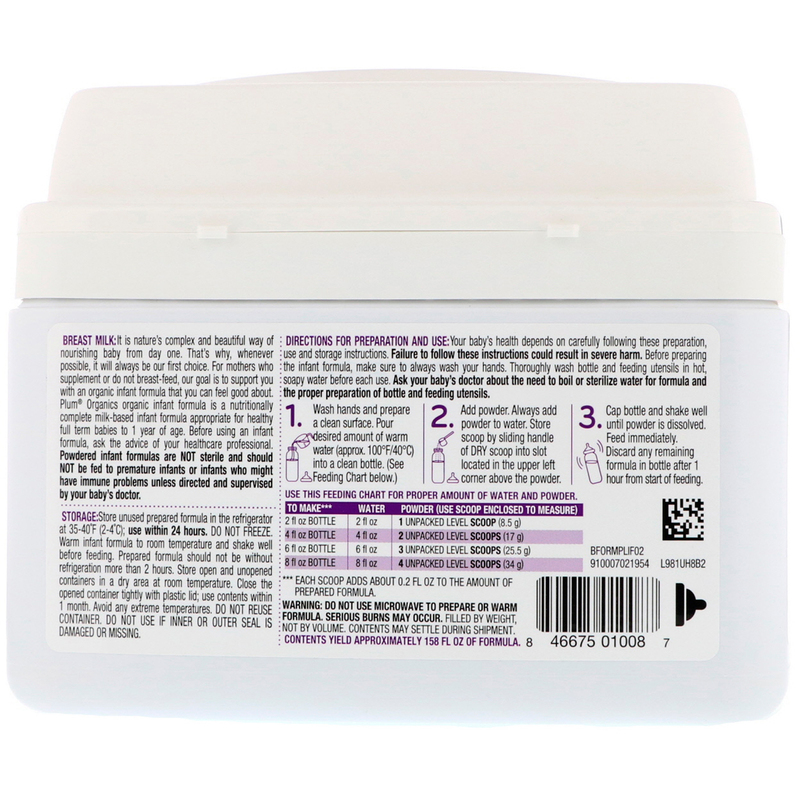 Do not use if inner or outer seal is damaged or missing.